Last week, I participated in Doctor Popular’s 4 hour font battle. Using Yourfonts.com we all made a typeface, in 4 hours. Alas, I was not triumphant in this battle of fonts. It made me make my own typeface though, which I’ve been meaning to do for years. I’m interested in making something without time limits sometime, but it will have to wait for a bunch of my other projects to be finished first! 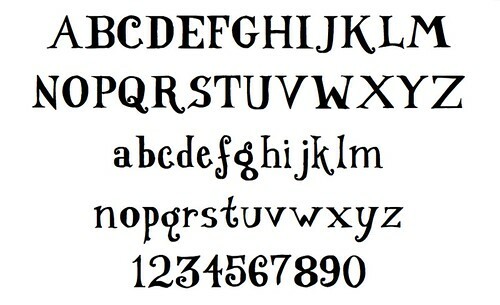 & download everyone’s fonts here. I can’t wait to see you make more fonts! Thanks for making with us, your font looks great. Thanks for hosting! We should do more of these things. For a four-hour challenge that’s an awesome result! I can’t wait to see what you produce when you have more time! Hot Damn! That’s what I’m talkin’ about! I made you a picture! I actually dig this font quite a bit. Do you happen to know what licensing the fonts were released under? Love you, Lady Dude! And I miss you lots. I know it was a friendly competition and all, but I think this is clearly the best of the four fonts. At least, it’s the one I would (and might) actually use.